What separates basic collateral pieces from those that capture your attention? More often than not, it’s a creative combination of design, paper and coating that makes the difference. A coating continues to be one of the best ways of protecting your printed pieces. But it can also add value to the designs of your brochures, direct mailers and newsletters. Varnish, which is applied on press like an ink. It can be applied to the entire printed piece, or can be applied on a spot basis to add visual emphasis to certain areas. 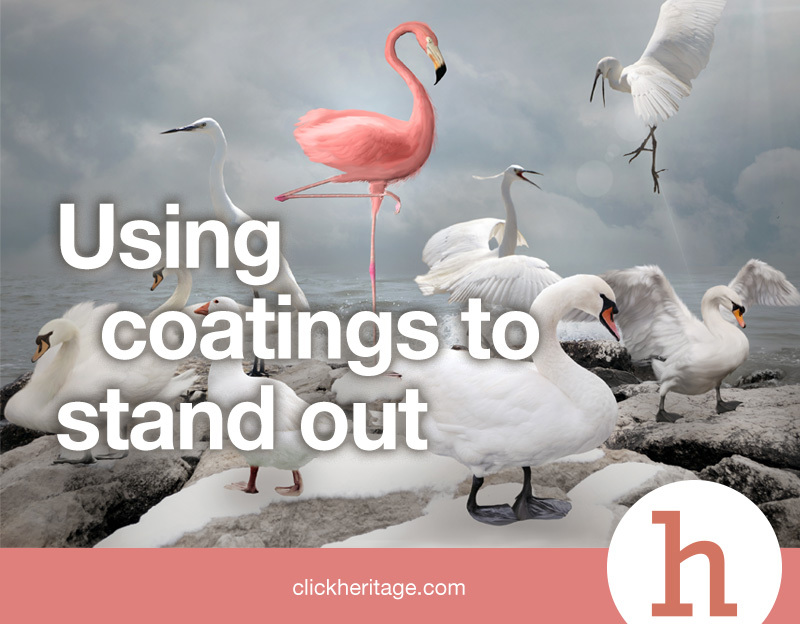 Aqueous coatings are fast-drying, water-based coatings that are applied to a printed piece, just like varnish; however they can only be applied to the entire printed sheet, not on a spot basis. UV coatings are applied to the entire printed piece or to a spot area, just like a layer of clear ink, and then cured instantly with an ultraviolet light. Of the three types of coatings, UV provides the greatest luster and scratch resistance. No coatings, especially on matte paper, will give a flat appearance. Dull coatings can give your collateral a silky, classy feel. The next time you’re designing a print project, think about the ways you can take it to the next level by creatively combining the best options for paper and coatings to your design… you’ll be glad you did!